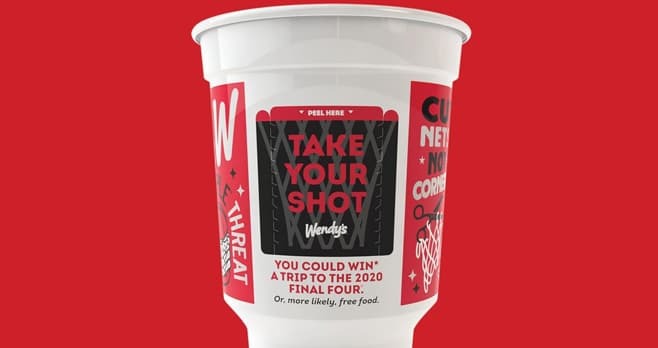 Order your Wendy’s on-the-go during the Wendy’s Take Your Shot Instant Win Game and you could win a trip to the 2020 Final Four. Visit wendystakeyourshot.com for complete details. combination of methods of play. The grand prize consists of a trip package for winner and one (1) guest to Atlanta, GA for the 2020 NCAA Men’s Final Four tournament. Visit wendystakeyourshot.com to enter and see Official Rules for details.